I would like to personally thank Lafayette Music for taking the time to really work with Resa yesterday. 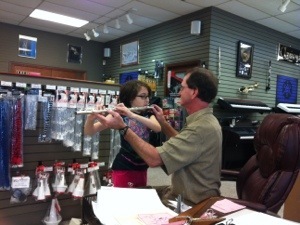 She was having a hard time with her flute and was ready to trade it in on a trumpet. 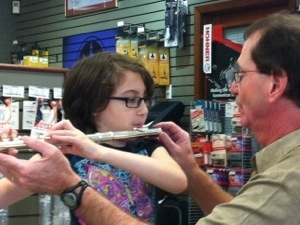 They actually took the time to work with her and show her how to play the flute. The staff there is extremely nice and very helpful. In no time they had her playing it. She has actually been practicing it now with no reluctance. 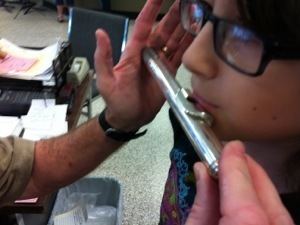 She had her heart set on the flute when she joined band and then 3 weeks later she was ready to give up. 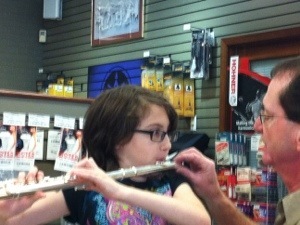 Now she is back to liking the flute and you can hear her hit those notes.